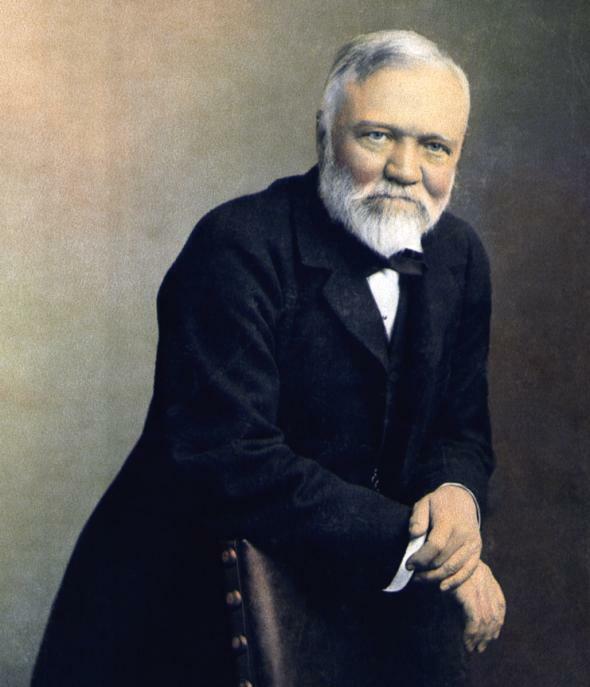 Andrew Carnegie: wise old bird. Reading Andrew Carnegie’s autobiography this morning, I came upon this passage. He argues that owning shares is a monstrous distraction from the more important ways in which we can earn and accumulate wealth – notably by working. His point could be applied more broadly to the insanity of letting the stock market dictate any analysis of the health of the economy. The stock market has become like some aging Vegas hoofer gyrating ever more preposterously to seize our attention, while deserving ever less. I have never bought or sold a share of stock speculatively in my life, except one small lot of Pennsylvania Railroad shares that I bought early in life for investment and for which I did not pay at the time because bankers offered to carry it for me at a low rate. I have adhered to the rule never to purchase what I did not pay for, and never to sell what I did not own. In those early days, however, I had several interests that were taken over in the course of business. They included some stocks and securities that were quoted on the New York Stock Exchange, and I found that when I opened my paper in the morning I was tempted to look first at the quotations of the stock market. As I had determined to sell all my interests in every outside concern and concentrate my attention upon our manufacturing concerns in Pittsburgh, I further resolved not even to own any stock that was bought and sold upon any stock exchange. With the exception of trifling amounts which came to me in various ways I have adhered strictly to this rule. Such a course should commend itself to every man in the manufacturing business and to all professional men. For the manufacturing man especially the rule would seem all-important. His mind must be kept calm and free if he is to decide wisely the problems which are continually coming before him. Nothing tells in the long run like good judgment, and no sound judgment can remain with the man whose mind is disturbed by the mercurial changes of the Stock Exchange. It places him under an influence akin to intoxication. What is not, he sees, and what he sees, is not. He cannot judge of relative values or get the true perspective of things. The molehill seems to him a mountain and the mountain a molehill, and he jumps at conclusions which he should arrive at by reason. His mind is upon the stock quotations and not upon the points that require calm thought. Speculation is a parasite feeding upon values, creating none.